John Fry (aka. 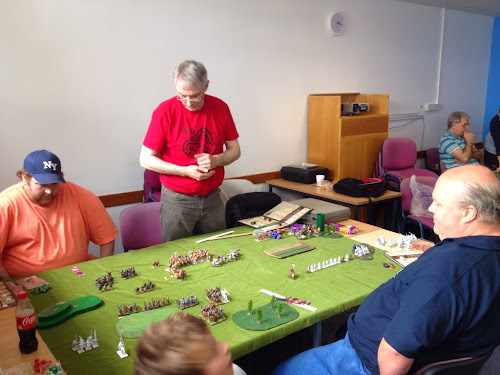 Ducat) organised another excellent SAGA day yesterday (17th May) at the University of Kent. A motley crew of wizened hearthguard attended, with a couple of young warriors in tow. We had enough space for four games of Brothers in Arms from C&C. This scenario is designed to be played with two teams of two players. Sadly a couple of folks couldn't attend, but we were still able to play six games during the day with 12 warbands. Each game lasted three hours and although the scenario permits six turns, most games ended after four (usually because we ran out of time). In our first game we were drawn against the Jomsvikings (don't make them angry!) and nasty shooty Saracens. 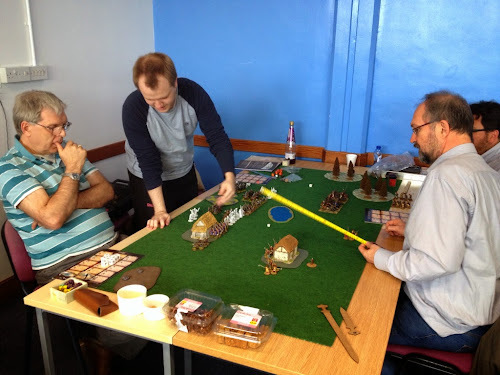 I really wish I had taken more photos during the day, but the three hour games required a lot of concentration! 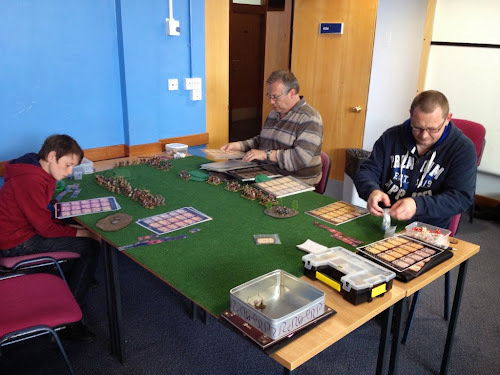 In particular I regret not getting photos of our initial deployment - lots of games are won or lost on deployment and it's good to review the initial set up to reflect on how units could have been better placed. In our first game we decided it would be a good idea to put down as much terrain as the scenario permitted, to minimise being shot whilst keeping away from the wrathfull Jomsvikings. This worked to some extent, but our right flank was only protected by a single unit of Norse Gael hearthguard. The Saracen cavalry started to move down our flank and although engaged by the Norse Gaels, the Saracens managed to break through and skewer both of our Religious Advisors. My priest was at the time attempting to convert the Norse Gael and took her eye of the ball... Luckily Mighty Kyle exacted revenge on the Jomsviking warlord who ended the game in multiple pieces. The final score was 32 points to 30 (in our favour). Since the scenario demands a clear win of 6 points, the game was therefore an honourable draw. I did manage to take photos at the start of the second round of games. Jomsvikings and Saracens square off against Milites Christi and Normans. Here the Normans and Vikings face Norse Gael and Rus Princes. Finally our Anglo Danes and Norse Gael stand trembling before Pagan Rus and Strathclyde. The first game was a good match up even though we thought we'd had it when the Jomsvikings started to get mad... But this second game... The combination of Pagan Rus and Strathclyde was terrifying! For a start, Strathclyde are allowed off table units that can come onto the board from any table edge. There's no hiding behind terrain here! 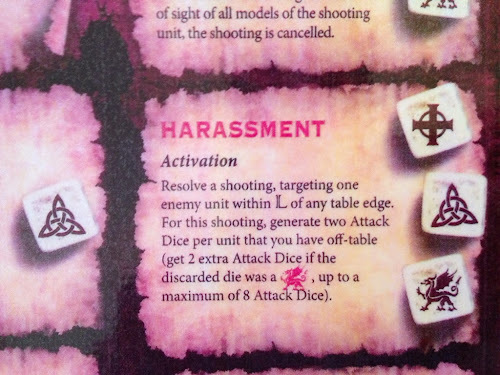 No only that, but the off table units can shoot any enemy within L of a table edge. Since the shooting is automatically resolved, they even hit units when there is no line of sight! Luckily for us melee did take place and were were able to get some points. Better yet, two of the off table Strathclyde units couldn't enter the battle and therefore counted as casualties at the end of the three hour time limit. I can't quite remember the score, it was something like 28 points (myself and Kyle) to 33 points (John and David). Since we were only beaten by five points it was another honourable draw. Phew! We had an excellent day and were pleased with how we played. We didn't win a game, but neither did we lose one. Terrific stuff and great games all round. 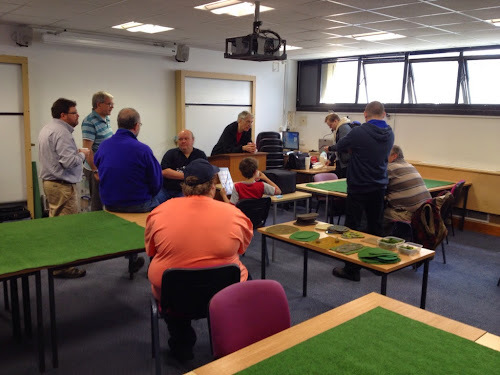 Thanks to everyone who attended and especially John for organising the day and James from Friday Night Firefight Club for getting us the venue. Since the Strathclyde and Pagan Rus had obliterated Norse Gaels and Rus Princes in their first game, I thought we were going to get well and truly spanked! So holding them to a draw (if only by one point) was a result we were more than happy with... Events like this are great fun, especially when playing in teams. The interaction and discussion of tactics makes for an entertaining day so definitely worth doing if you can. Hmm, perhaps there is another alternative when facing that latter historically-unlikely alliance. Since the Strathclyde had units off the table, you presumably outnumbered the enemies that were *on* the table. Could you have charged forward and spanked them with everything you had, before the losses from harassment built up too much? Interestingly, in their first game against Norse Gael and Rus Princes this is exactly what happened. The Rus Princes had only three units - two 12 man hearthguard and a warlord. The Norse Gael and Rus Princes charged forward causing quite a bit of concern to the Strathclyde and Pagan Rus in the first turn. However, they were hammered from turn 2 onwards and had to concede the game with almost their entire force destroyed. In our game we held back and counter attacked when able, taking out most Pagan Rus hearthguard in the process. 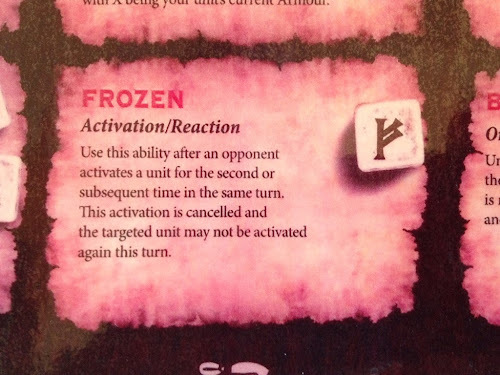 The problem with rushing forward was loading up dice on SAGA abilities and then pushing a unit forward to hit hard with enough dice left to activate a *second* unit. 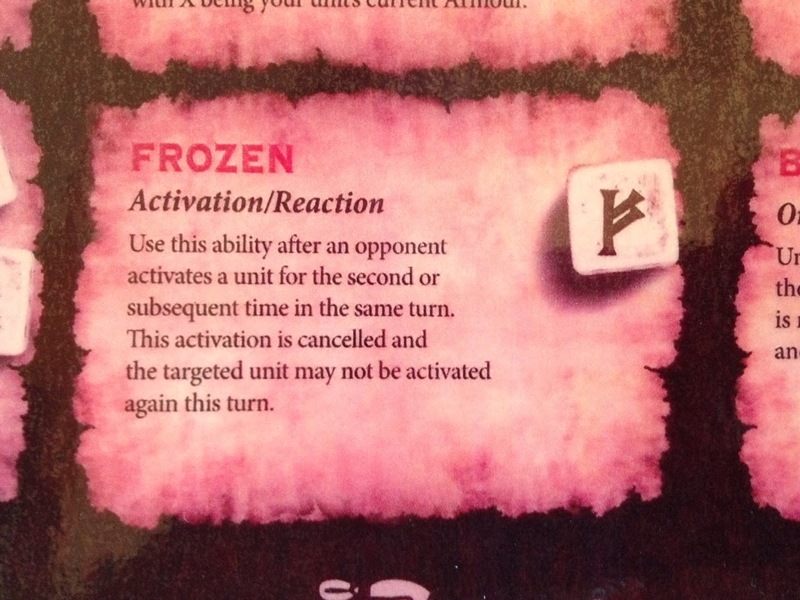 The Pagan Rus would allow a unit to get to an isolated location and then use Frozen to stop any further activations. 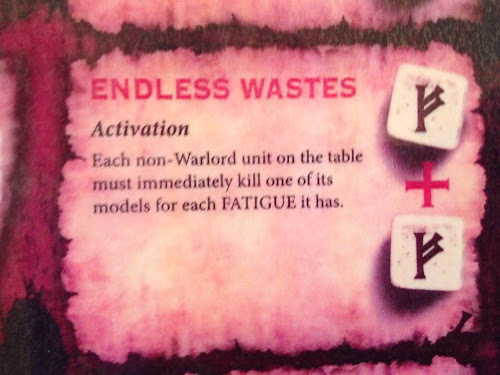 The mistake we made was not getting back to our base line quickly enough and loosing figures to Endless Wastes. 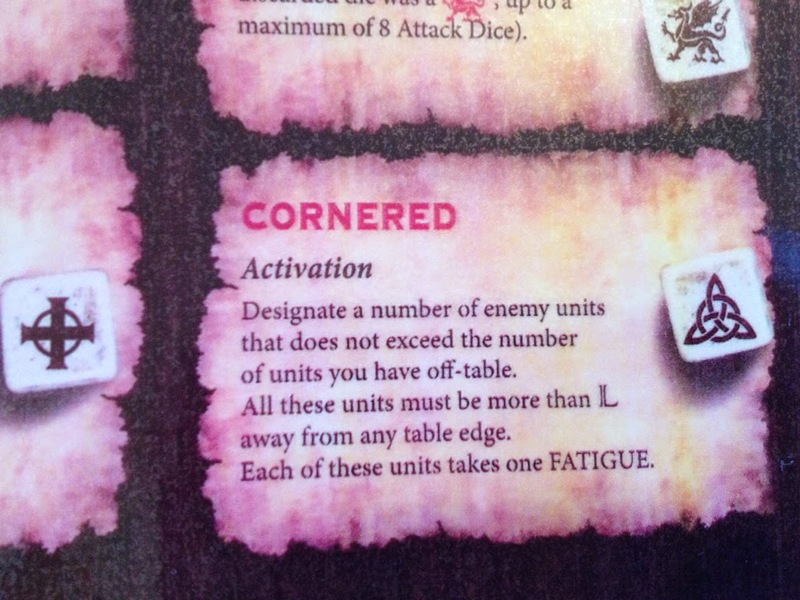 The deployment rules meant most units were more than L from the table edge from the outset. We learnt a lot during the game! We both had a great time and learnt quite a bit too. I think we really fell on our feet when I joined the local club. Great bunch and lots of games! If your ever in Kent on a Friday, give us a shout!